Providing adults living with mental health challenges a place to work, belong, and recover since 1996. A Program of Magnificat Houses, Inc.
We are a Clubhouse, a unique style of mental health rehabilitation that is grounded in meaningful work. We are invested in focusing on abilities, not disabilities of our members (participants of our program). Clubhouses operate on the belief that the skills, confidence and community built through working are paths to wellness. 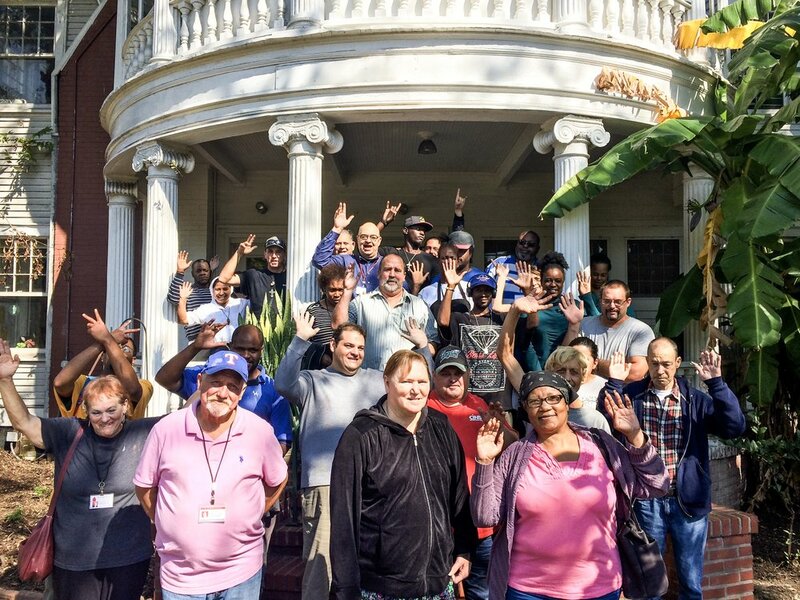 Our Clubhouse exists to provide meaningful work inside of the Clubhouse and assistance securing employment in the workforce through our employment programs. We also provide ongoing support in areas such as: advocacy, securing safe and affordable housing, acquiring benefits and much more. Our Clubhouse operates because of amazing individuals that have dedicated their time through membership, volunteering, and providing donations. Interested in becoming a member? We’d love to show you around.